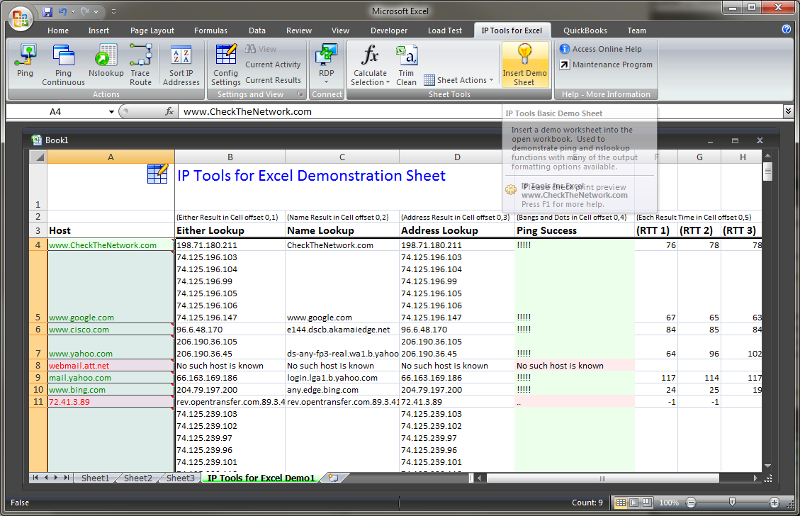 To demonstrate several Ping and Nslookup capabilities as available from the IP Tools for Excel Ribbon, Insert Demo Sheet will create a formatted workbook for you. Since this is a demonstration sheet your local Configuration Settings are ignored. Column A contains various host names. Select one or more hosts in Column A, you can even select the whole Column. Right click and choose Ping or Nslookup from the Context Menu or press the button on the Ribbon.